Hover over the numbers on the map to discover more. Our new map has been designed exclusively for Glyndebourne by Tilly aka Running for Crayons. 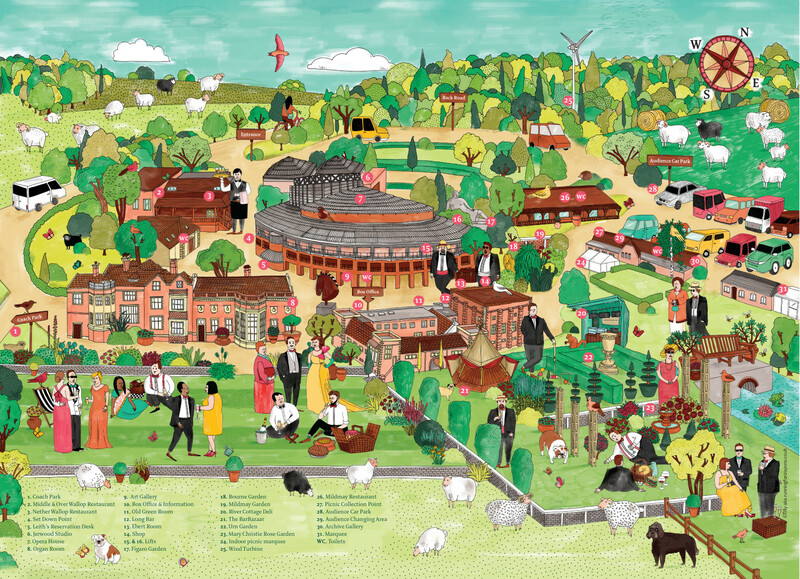 You can pick up a copy of the map when you visit Glyndebourne this summer from the Box Office. Tilly is a smaller than average person who works with larger than life clients. She likes to approach every project with originality and a touch of humour. Her clients include Glyndebourne, the BBC, Ivy Press, Ocado, BOSCH, The Telegraph, The Guardian and she has been working on a monthly feature for the National Geographic Traveler for the past three years. Tilly draws inspiration from the everyday and the odd and enjoys creating characters based on the folks around her.